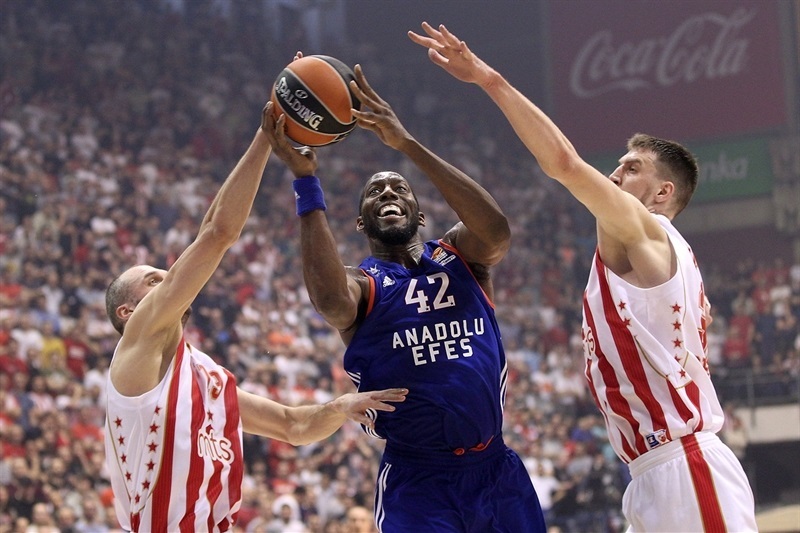 Anadolu Efes Istanbul grabbed a valuable road win in the Serbian capital by downing Crvena Zvezda mts Belgrade 72-86 on Friday. 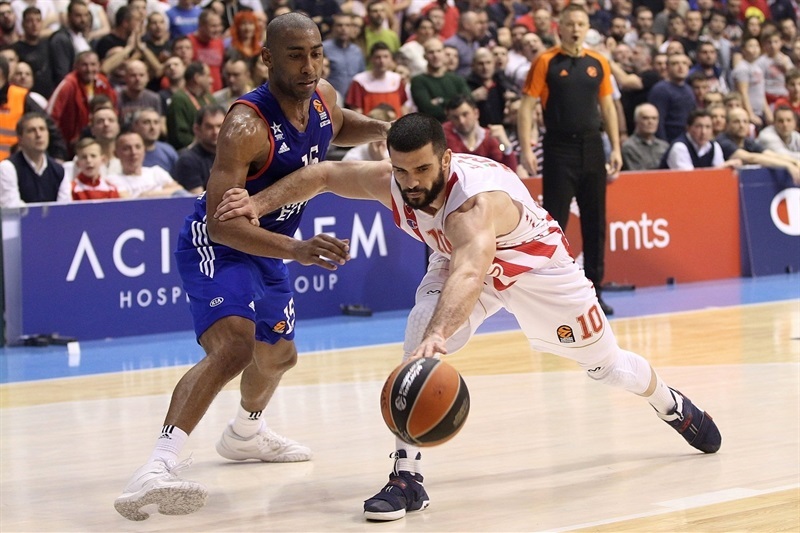 Efes improved to 10-11 and into eighth place, while Zvezda dropped to 12-9 and saw its historic seven-game winning streak come to an end. Derrick Brown led the winners with 20 points and 11 rebounds. 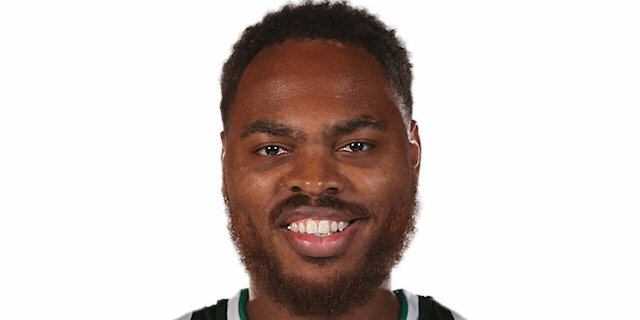 DeShaun Thomas scored 15 of his 17 points in the fourth quarter, Bryant Dunston had 16 and Thomas Heurtel totaled 12 points and 15 assists - tying the EuroLeague season high that Vassilis Spanoulis had earlier on. Marko Simonovic led Zvezda with 17 points, Charles Jenkins added 13 and Nate Wolters and Milko Bjelica scored 12 each for the hosts. 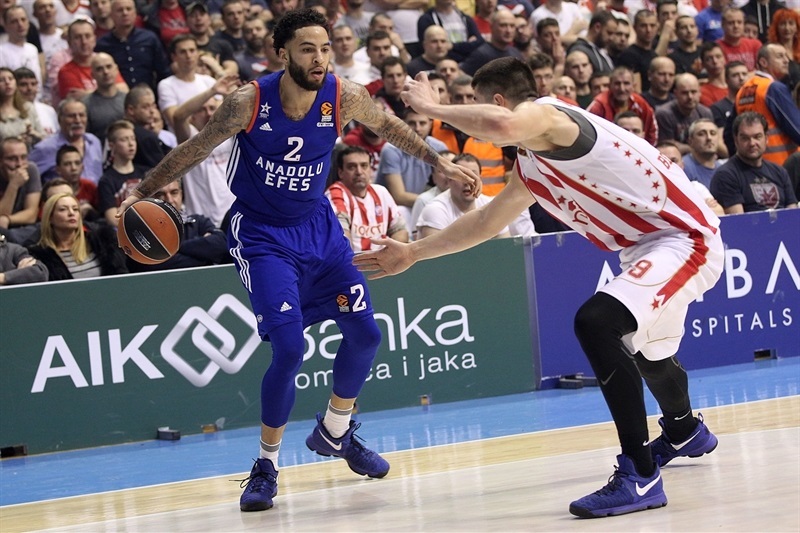 Efes dished 14 assists and 8 steals before halftime, shooting with good percentages (57.1% 2FG, 40% 3FG, 100% FT) to get a double-digit margin, 35-47, at the break. Efes ended up dishing 27 assists, committing just 11 turnovers and making Zvezda shoot poorly (3-of-16, 18.8%) from three-point range, in the biggest keys to this game. 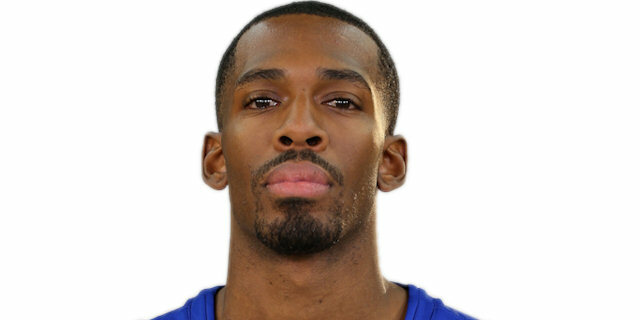 Brown hit a jumper and bettered Luka Mitrovic's dunk with a three-point play for a 2-5 Efes lead. Ognjen Kuzmic and Simonovic stepped up for Zvezda and a driving layup by Stefan Jovic gave the hosts their first lead, 8-7. 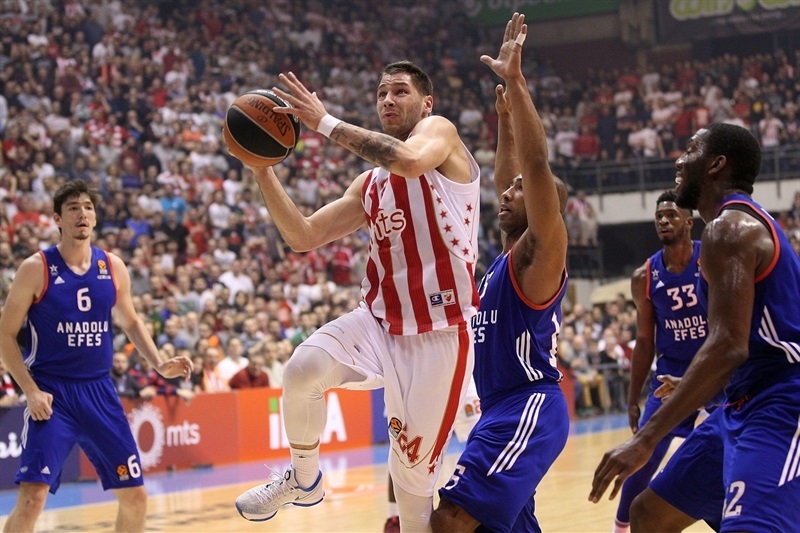 Mitrovic sank a jumper, Milko Bjelica dunked and a layup by Simonovic boosted Zvezda's lead to 16-10. A jumper by Tyler Honeycutt and back-to-back baskets by Alex Kirk brought Efes a bit closer, 20-16, after 10 minutes. Heurtel followed a reverse layup with a triple and Thomas added a jumper to get Efes within 24-23 early in the second quarter. Jenkins tried to stop Efes with a three-pointer and a driving layup, but Heurtel scored again, Dunston dunked and a three-pointer by Jayson Granger put the visitors ahead 29-30. Kuzmic dunked again and Simonovic struck from downtown, but Dunston had back-to-back three-point plays and Brandon Paul added a triple in a 0-15 run that Brown capped with a dunk to give Efes a double-digit lead, 36-47, at halftime. A layup by Dunston sparked a 0-7 run, which Brown capped with a layup to make it an 18-point game, 36-54. Zvezda found a go-to guy in Jenkins, who had 8 points in a 12-0 run that brought the hosts as close as 50-56. Brown took over with a coast-to-coast three-point play and Cedi Osman added a fast break slam for a 52-61 Efes lead after 30 minutes. Thomas scored down low, followed Osman's triple with his own shot from downtown and soon added a jumper to break the game open, 54-73. 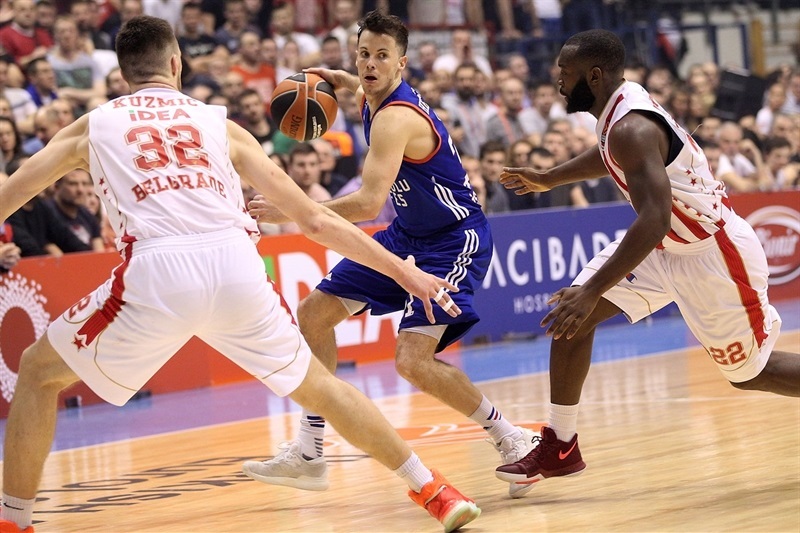 Wolters and Simonovic stepped up for Zvezda, but a red-hot Thomas struck three more times from downtown to seal the outcome, 62-81, with three minutes left. 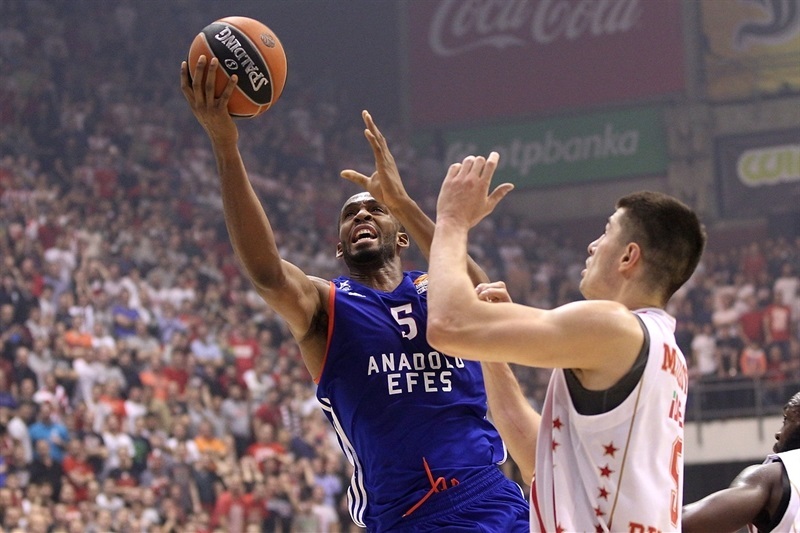 "Congrats to Efes on a well-deserved win. Thanks to the fans who supported us for the entire 40 minutes. It was a game in which at the start we had a little control, until midway of the second quarter, when they built a margin with fast breaks and by making shots. They increased it at the start of the third quarter. We used a lot of energy to catch up. We got within 50-56 and had possession, so we had a chance to catch up, but they responded to that, and had control all the way to the end. We tried our best in difficult circumstances, and it was only matter of time until Efes grabbed it. 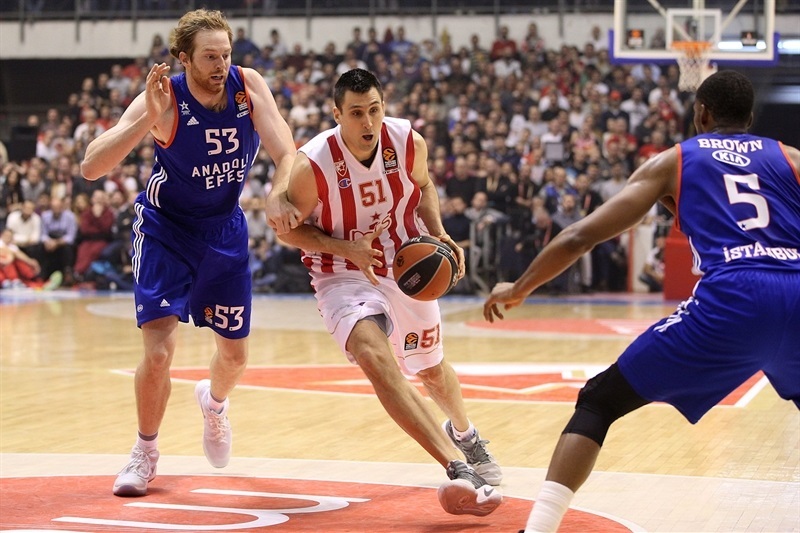 Efes played excellent, but for us now it is most important to regroup, get rested and healthier. We have to see how to do that, I was worried before this game, and it would not be a surprise for me if there are few more losses coming. But it is also not something that should burden us because we have done outstanding so far." "I think we played a very important game for us and a very serious game. Every time we win in rebounding we win the game. We won rebounds tonight. What was also important, when you play Zvezda i they have many steals, they break the game open. 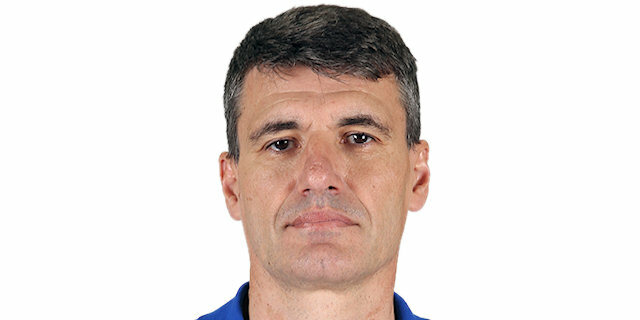 Today they had only 2 steals, which is important because we are very aggressive on offense, and we stopped their possibility for their fast breaks. For me, that was a key of the victory today. We played one of the better games this season in this atmosphere, against a team on such a winning run. 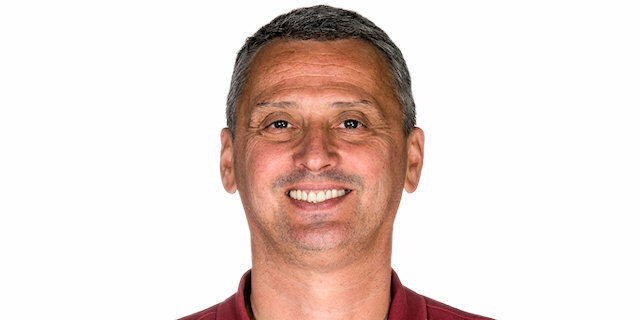 But it is normal that a team with seven wins in a row, it is not that they relax, but maybe they do relax a little bit, enter with a lot of self-confidence. However, we entered fully tensed, knowing how important this game was for us. We now remain in the playoff race, which is very tough. Each game is important. I think it is normal for Zvezda to play a game like this after a series of brilliant games. What they have done this season is hats down to their coach and their entire team." "It was a great game. We came in mentally prepared. We didn't give up, came out and played really hard. This is what we have to do. When we win the battle on rebounds and play hard, we get offense. We have a lot of guys who can score the ball. We won the game and it was all due to our effort and execution." "We just wanted to come out defensively, that was our main goal today. Obviously, there was a great atmosphere and it is playoffs time, so we have to get as many wins as we can. Some games you play well, some games you don't, but obviously, it is a team sport. I am trying to do the best I can to help my team win and we got the victory."